Paco Rabanne's tunic is from the Resort' 19 collection, which was shot on a beach in Brittany. 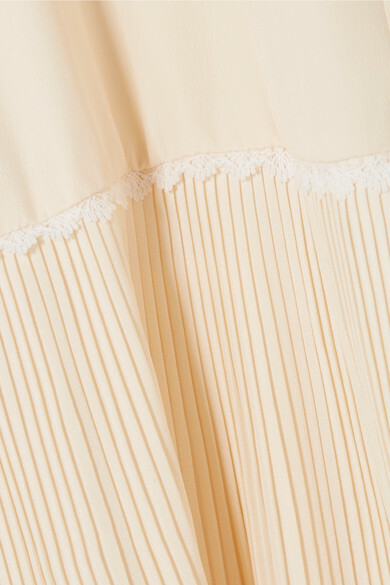 Made from lightweight ivory crepe, it's decorated with a plissé collar, cuffs and skirt, and trimmed with delicate white lace along the hem that resembles frothy ocean spray as it hits the shore. Style yours with cycling shorts and one of the label's iconic sequined bags. Shown here with: ATM Anthony Thomas Melillo Shorts, Ann Demeulemeester Sandals.